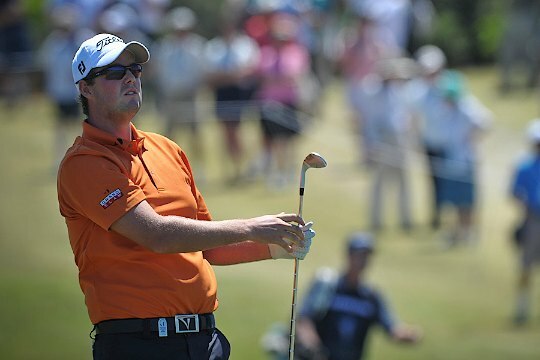 Victorian Marc Leishman has confirmed he’ll be contesting his first tournament back home in Australia at the Australian PGA Championship presented by Coca-Cola to be played on Queensland’s Gold Coast from November 7-10 2013. Only 24 hours after being offered a Captain’s Pick by Nick Price to represent the International Team at the upcoming Presidents Cup, Leishman has confirmed he’ll be chasing his first PGA Tour of Australasia win in five years at RACV Royal Pines Resort. “I’ve won on the Web.com Tour and the PGA TOUR now but to win at home in my own country in one of the big events is definitely high on the list of things I want to achieve and hopefully I can get it done at the PGA,” said Leishman whose last win on the PGA Tour of Australasia came at the 2008 Victorian PGA Championship. With a new home at RACV Royal Pines Resort, Leishman said he is looking forward to the opportunity to play the Gold Coast course that will provide plenty of birdie opportunities. “It’s a strong field and a fun golf course. I think it’s going to make for a really fun tournament,” he said. Sharing Leishman’s sentiments, Brian Thorburn Chief Executive Officer of the PGA, said the field is shaping well for the tournament’s highly anticipated first year on the Gold Coast. “At only 29 Marc has been one of our most consistent players throughout 2013 and we’re delighted he’ll be playing his first event back home at the Australian PGA Championship presented by Coca-Cola,” said Thorburn. The Australian PGA Championship will round out a big few weeks for Leishman who was yesterday selected by International Team Captain Nick Price to make his debut alongside fellow Australians Adam Scott and Jason Day in this year’s Presidents Cup. “It’s exciting for us to have three Australians on the team, and for me personally, it’s huge,” Leishman said on Wednesday. The winner of the PGA TOUR’s 2012 Travelers Championship, Leishman hit form mid-year with a T4 at the Masters, a T9 at the RBC Heritage and a T8 at THE PLAYERS Championship. He also shot 64 in the third round of the recent Deutsche Bank Championship finishing T16 to move to No. 12 in the International Team standings, all but assuring his Captain’s pick. “Last week I had a solid finish when I really needed to and the PGA, obviously I played well there, personally it’s been a good month for me,” he said. Following the Presidents Cup, Leishman will play the WGC-HSBC Champions in Shanghai in late October before returning to Australia for the Australian PGA Championship presented by Coca-Cola. He joins previously confirmed players Adam Scott and Rickie Fowler in the field. The 2013 Australian PGA Championship will be played at RACV Royal Pines Resort on Queensland’s Gold Coast from November 7-10.